Is It Illegal to Drive Barefoot In Texas? Barefoot driving is legal in all 50 states. However, many strongly discourage driving barefoot. If you cause a wreck and you were driving without shoes, the other driver (and their insurance company) could use it as an argument against you and pin you at fault for the wreck. Similarly, if you were in a car accident and the other driver wasn't wearing shoes, it's worth discussing with your attorney. They could be charged with negligence. Nothing has changed on this in years, and if you search the AAA Digest of Motor Laws, you'll find no mention of footwear. However, many people still assume driving barefoot is illegal. Driving barefoot is inherently dangerous. Bare feet are more likely to slip off the pedals or miss the pedals, causing the driver to lose control of their car. Bare feet don't have the same braking force as shoes do, especially in sudden or emergency situations. Bare feet leave the driver exposed; your feet are more likely to be burned or cut in an accident if you aren't wearing shoes. If a driver removes their shoes while driving, the shoe can tumble and get lodged under a pedal. Though driving barefoot isn't a crime in itself, if you choose to drive barefoot and wreck while doing so, you could be charged with negligence. Essentially, negligence means you weren't acting carefully, and your carelessness caused an accident. In terms of car wrecks, the person who is found negligent (or "at fault") is also the person whose insurance will have to pay for the damages and injuries they caused. Do You Think Your Wreck Was Caused By a Barefoot Driver? Proving that another driver was barefoot - and that their lack of shoes caused your wreck - can be done, but it's not always easy. This is especially true if the other driver won't admit to driving without shoes. Your best bet is to contact a personal injury attorney to see if you have a case against the other driver. Your attorney will look at the details of your case, collect evidence and work to win you compensation for your damages and injuries. Not sure if hiring a personal injury attorney is the right choice? Read my article here to help you determine if you need a lawyer at all. Do you have questions on driving barefoot in Texas, or a wreck it caused? Call my office at 817-294-1900 in Fort Worth, Texas. All calls are free. The Anderson Law Firm specializes in car accidents caused by countless amounts of factors. 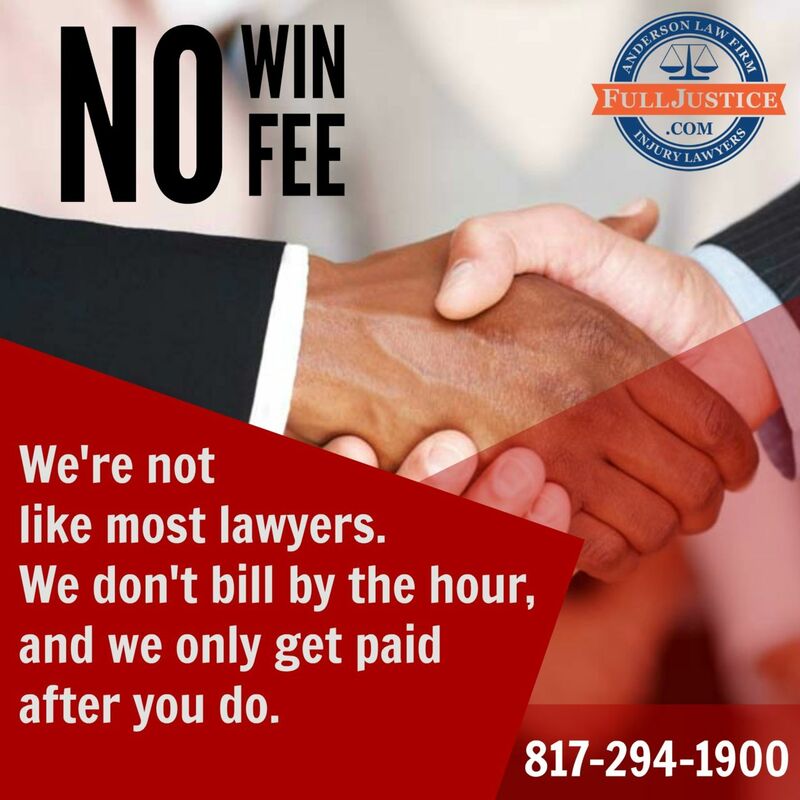 Our experienced legal team will fight for your rights and for the compensation you deserve. If you have any questions about your car accident injury claim, please feel free and give us a call.